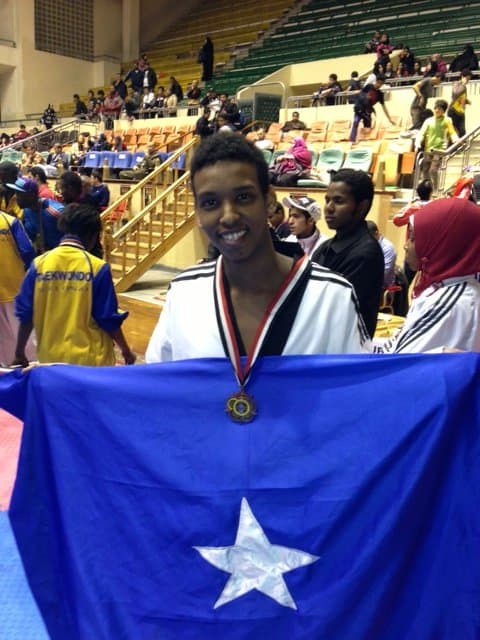 Emerging from decades of bloodshed and terrorism, Somalia is celebrating for its first ever Taekwondo medal gained during the recent 5th Alexandria International Open, an unprecedented victory which Somali NOC termed as a ‘symbol’ for the recovery of Somalia which is once again back on track. “Following Somalia NOC’s new development strategy with Somali athletes living abroad, we are happy to inform the world of sport that Somalia Taekwondo Federation won its first medal in the country’s history,” Somali NOC secretary General Duran Ahmed Farah said in a press statement here in Mogadishu on Monday evening. 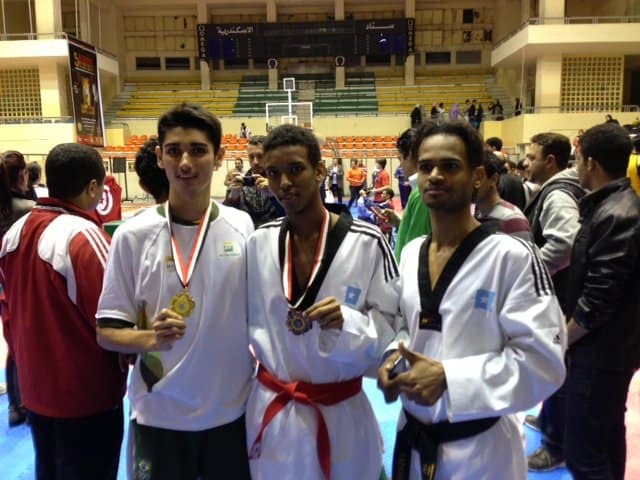 The statement noted that two Somali athletes living in Switzerland and their Brazilian coach Mr. Elton De Souza accompanied by Somalia NOC Vice President Ibrahim Shamo took part in 5th Alexandria International Open that took place from the 20-27 February 2013 in Alexandria, Egypt. 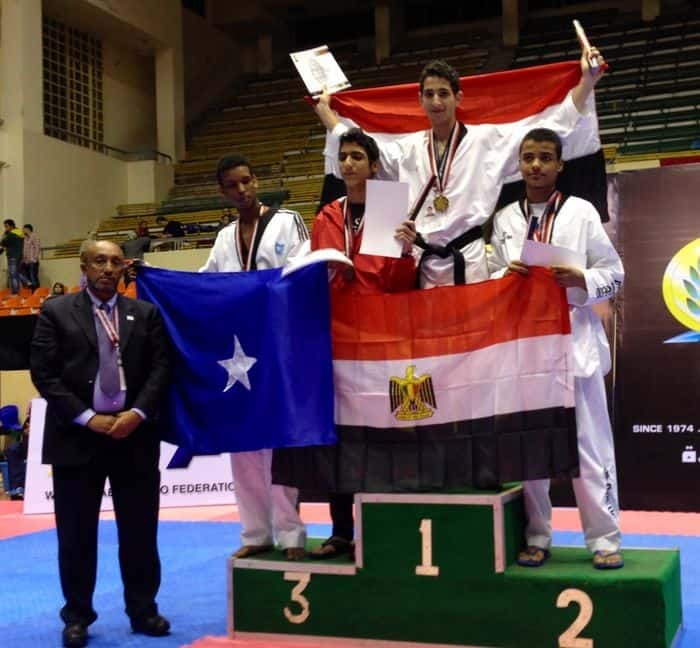 Mohamed Deq Abdulle Mohamed won bronze medal in his weight while Faisal Jeylani Aweys finished 4th in 63 kgs. 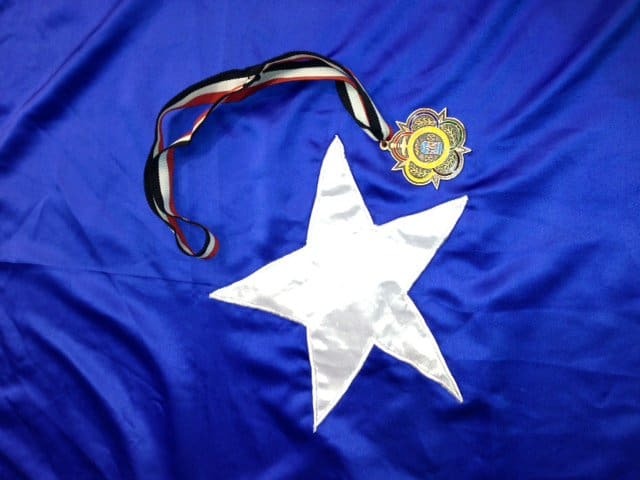 “Thanks to their success they will be able to take part at the upcoming Taekwondo World Championships to be held in Mexico 15-21 July 2013 and Somalia is very hopeful of more tangible achievements,” the Somali NOC secretary general emphasised. The country’s National Olympic committee secretary General Duran Ahmed Farah said the achievement of the first ever Taekwondo medal for Somalia and the wonder that Somali basketball men’s national team showed in January’s Africa zone 5 basketball tournament were a clear signal for the return of a full Somalia. “We believe that the new development strategy of our NOC in collaboration with its affiliated national federations will bring the nation of Somalia to great joy and satisfaction,” Secretary General Duran Ahmed Farah noted in his press statement Monday. In January, Faisal Adan who is Somali National Basketball player living in the US A broke FIBA record in terms of points scored in international matches during FIBA Africa Zone V competition. He scored 59 points in the semis against Rwanda. “We count on the collaboration and contribution from the IOC and the Olympic solidarity which helped us promote sport in the war-devastated country” the NOC secretary General said adding he was very hopeful that the world of Taekwondo will give a particular consideration to the reviving taekwondo in Somalia.